Ever wonder how you might live without a car? Here’s a really cool blog by the folks at www.TinyHelmetsBigBikes.com. 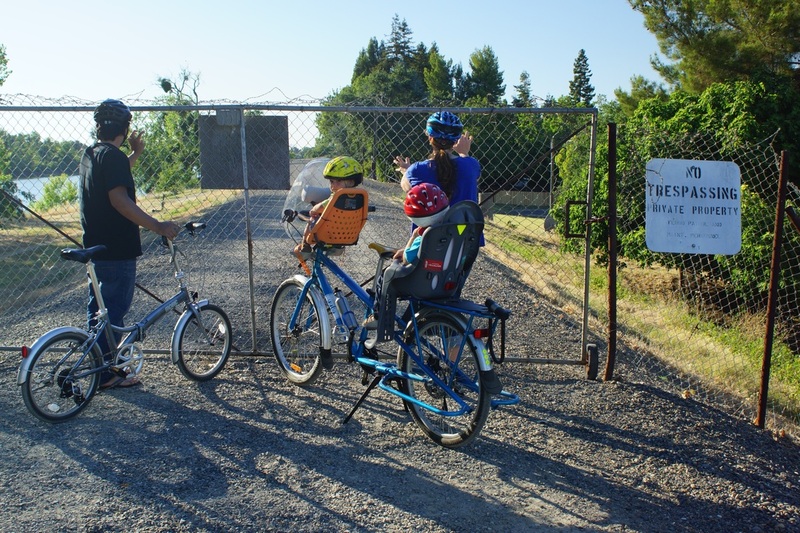 Learn how this wonderful family has made bicycles their primary form of transportation and learn how they recently added our standard Mobic 415AS folding bike to their existing fleet of bikes. Did you know Mobic folding bikes are allowed on Bart Trains at all times? Yes, Bart trains in the SF Bay Area allows folding bikes at all times. No longer need to wait for the special times and trains to commute with your bike, get a Mobic folding bike today! By the way this unlimited restriction also applies to Caltrain commuters. Those of you that know how difficult it is to commute with a regular bike on Caltrain can attest to this. Caltrain only lets bikers bring their bike on the trains marked bike trains. There are limited bike trains due to the design and schedules allowed for these trains to operate at maximum capacity. Thus, many commuters on bikes end up waiting for the next bike train to arrive and often have to wait hours just to get on the train. The other option is to rent the limited bike lockers available at the train stations. You then have to be on a waiting list, pay additional monthly fees which really defeats the purpose of commuting with your bike. However with a Mobic folding bike, you are not limited to these restrictions. Mobic folding bikes when folded are no wider than 32″. This will allows you to bring your folded bike on any Caltrain. There can’t be a smarter way to commute on Caltrain but with your Mobic folding bike. By the way this unlimited restriction also applies to BART commuters. For more information please visit Caltrain’s Bicycle Frequently Asked Questions. 511 Bicycling is the Bay Area’s resource for bicycling information. Here you’ll find information about Bay Area bicycle maps, taking your bike on public transit, bicycle parking, how to cross Bay Area toll bridges, finding a Bike Buddy, bicycle safety, selecting a bike, bicycling organizations, Bike To Work, bicycle classes, volunteer opportunities and more.On the Phone call 511 or on the web visit 511.org. Checkout Mobic’s booth at Blox’s Open House Event in Fremont, CA Saturday 6/11. Mobic will be displaying several folding bikes this Saturday 6/11 at Blox’s annual open house event. The BLOX Open House 2011 is a FREE outdoor car show extravaganza coming to Fremont, CA on June 11, 2011. This event will showcase impressive automobiles and super bikes of all makes, and hot models. Learn about the latest products, hob-knob with industry professionals, strike up a conservation with hot car show models, or just chill out in the food court. We expect more than 7,000 people coming to this FREE admissions event. For more information regarding this event visit http://www.bloxopenhouse.com.